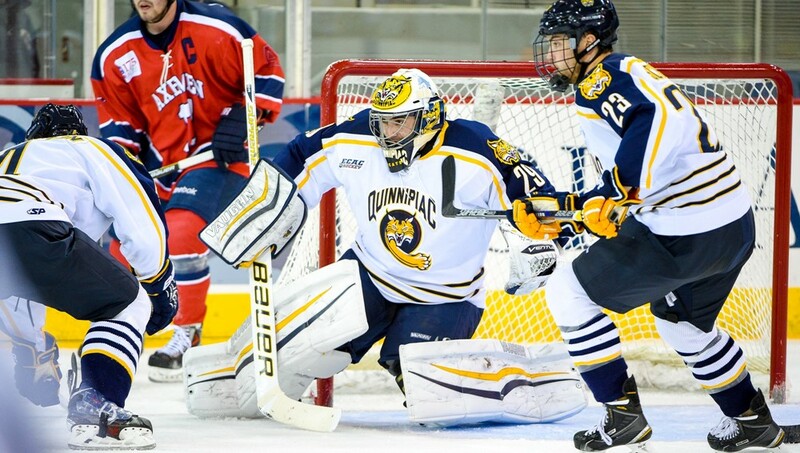 According to Sierra Goodwill of Q30 sports, junior backup goaltender Sean Lawrence is transferring from Quinnipiac University to Colby College, a Division III school located in Waterville, Maine for the 2017 spring semester where he will be eligible to play immediately. Lawrence was third on the depth chart behind junior starter Chris Truehl and freshman Andrew Shortridge and had not seen any regular season game action this year. He played a period in the preseason game against McGill University. Lawrence has played in only seven games for the Bobcats and none since November 17, 2015 when he started against the University of Connecticut. He gave up two first period goals before being replaced by Michael Garteig in a game the Bobcats would go on to win. As a freshman, Lawrence played in six games and was 1-2-1 with 2.50 goals against average and an .881 save percentage. The transfer of Lawrence is unfortunate but not surprising as he was clearly behind the other two goaltenders on the roster and likely wanted an opportunity to play. Its very likely that the coaching staff will be now have to find a replacement for Lawrence in time for the second semester as they cannot afford to carry only two goaltenders for the remainder of the season in case of a possible injury situation. There are plenty of uncommitted goaltenders from leagues such as the USHL, BCHL, NAHL, AJHL and the USPHL. Quinnipiac should be able to find a goaltender that is willing to have three and half years of eligibility remaining in time for play in the second semester. Jonathan Singer is a 2004 Quinnipiac alum. You can follow him on Twitter @jonathan_singer.